(VEN) - Most people have heard about Pho and spring rolls, but there is so much more to Vietnamese cuisine. From the ubiquitous street food to upscale French gastronomy and spicy Indian, there is something for everyone’s palate and pocket. For the lazy or busy, there is also a thriving food home delivery industry. 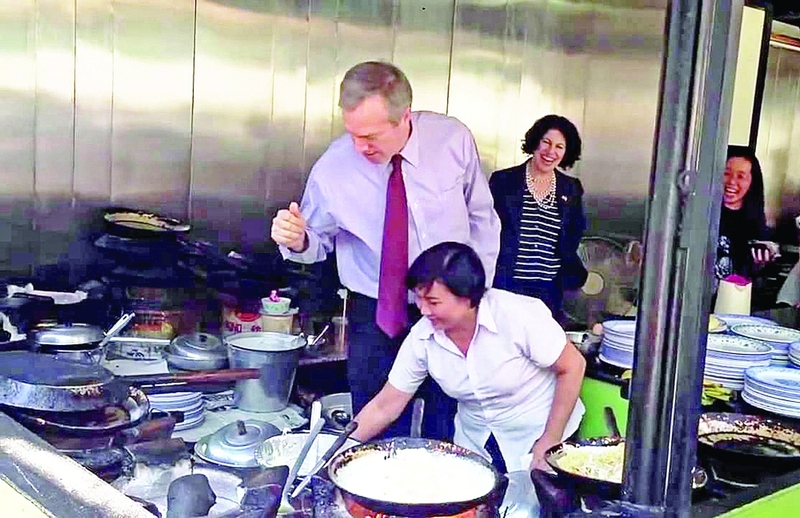 The development of the national economy and presence of foreign nationals working in Vietnam and visiting the country have resulted in a vibrant, international restaurant scene, but Vietnam’s famed street food still beats many of the foreign options in terms of taste, authenticity and price. In 2018, the World Association of Chefs’ Societies awarded a certificate of honor to the charming coastal town of Hoi An, crowning it as Vietnam’s new food capital. One of the city’s featured delicacies is the Banh Mi Phuong bread and Cao Lau, the legendary noodle dish which is the essence of Hoi An in a bowl. Cao Lau consists of chewy noodles, smoky pork, crisp greens and crunchy croutons, as well as refreshing bean sprouts. The pork is sliced thin and grilled in the traditional Chinese method known as char siu. For a true taste of these and other specialties, try Ong Hai’s shop. CNN featured 10 essential dishes every visitor should try in Vietnam, such as Pho (noodle soup with beef or chicken), Bun Cha (grilled pork with vermicelli and fresh greens), and Banh Xeo (sizzling pancake). For the initiated, Bun Cha is the top choice for lunch, especially if accompanied by fried crab spring rolls. Banh Xeo has a yellow outer layer and is filled with pork strips, shrimp, and bean sprouts. Though some people might prefer to use chopsticks to eat it, the best way to enjoy it is eating with your hands. Take a piece of Banh Xeo and put it on rice paper, add fresh vegetables that are always served with the dish (lettuce, Vietnamese perilla, basil and bean sprouts) and roll them tightly. With each bite, dip the roll into the sauce served with the dish. Each region has its specialties. Ho Chi Minh City, for example, is famed for its Bot Chien - fried dough that blends cassava flour, rice flour, and eggs. A plate of fried dough consists of rectangular, fried up pellets mixed with scrambled eggs, scallion, and shredded papaya. The growth momentum of Vietnam’s food business holds great development potential. Online food delivery companies, for example, are mushrooming and generating fierce competition among such start-ups as Now, GrabFood, Loship, and most recently Go-VIET. 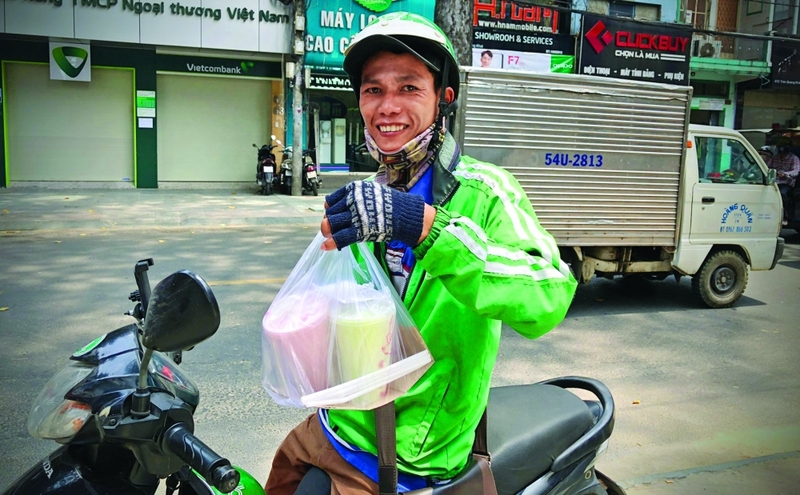 According to market research firm Euromonitor International, the food delivery market in Vietnam is currently valued at US$33 million, and this figure is expected to exceed US$38 million by 2020.
great depth. He also said the country is poised to be Asia’s next fine dining hotspot.